Drive your magazine ad sales through the roof by guaranteeing your advertiser that their ad will be in the hands of their target demographic! 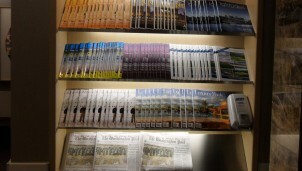 Display your magazine or collateral (catalog, brochures, etc) inside the airlines private lounges. The demographic in the lounges is a high income, tech savvy, everyday consumer on the go.